Tobii Eye Tracking devices are using near-infrared illumination to create reflections on the eyes that can be tracked with high accuracy. Near-infrared light can be found in our natural environment, for instance in candle lights, fires, and in the sun where the IR light is invisible or viewed as white light. Since 2009 there is a new European standard called EN 62471 for products using LED lights. All Tobii Eye Trackers have been tested and approved by certified labs according to the European standard for optical radiation hazards of different lamps and lamp systems, IEC/EN 62471. Light emission that meets this standard is not harmful to the human eye. Please use the following safety guidelines for your personal safety. Some people with Photosensitive Epilepsy are susceptible to epileptic seizures or loss of consciousness when exposed to certain flashing lights or light patterns in everyday life. This may happen even if the person has no medical history of epilepsy or has never had any epileptic seizures. A person with Photosensitive Epilepsy would also be likely to have problems with TV screens, some arcade games, and flickering fluorescent bulbs. Such people may have a seizure while watching certain images or patterns on a monitor, or even when exposed to the light sources of an eye tracker. It is estimated that about 3-5% of people with epilepsy have this type of Photosensitive Epilepsy. Many people with Photosensitive Epilepsy experience an "aura" or feel odd sensations before the seizure occurs. If you feel odd during use, move your eyes away from the eye tracker. When activated, the Tobii Eye Tracker emits pulsed infrared (IR) light. Certain medical devices are susceptible to disturbance by IR light and/or radiation. Do not use the Tobii Eye Tracker when in the vicinity of such susceptible medical devices as their accuracy or proper functionality may be affected. The Tobii Eye Tracker is an advanced computer system and electronic device. It is composed of numerous separate assembled parts. These parts may get separated from the device, and may pose danger or choking hazard, when handled by children. Non-compliance results in loss of Warranty! There are no user serviceable components inside. 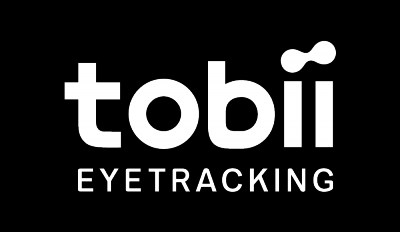 Contact Tobii Support if your Tobii Eye Tracker is not working properly. Please note that below only applies to a non integrated Tobii Eye Tracker. The Tobii Eye Tracker Magnetic Mounting contains magnets. Magnetic fields may interfere with the function of cardiac pacemakers and implantable cardioverter-defibrillators. As a general rule, maintain a minimum distance of 6 inches (15 centimeters) between any item with magnets and your heart device. The Tobii Eye Tracker should be mounted according to manufacturer instructions of approved mounts. Tobii or its agents are not liable for damage or injuries to a person or its property due to a Tobii Eye Tracker falling from a mounted configuration. The mounting of a Tobii Eye Tracker is done entirely at the user’s own risk.The double sided tape supplied with the adhesive Magnetic Mounting Plates is designed to permanently attach the bracket to the monitor/laptop. Attempting to remove the bracket after attaching it using the supplied tape can result in damage both to the monitor/laptop and the bracket. Do not lick the tape or place any part of the tape or Magnetic Mounting Plate in one's mouth. Do not mount the Tobii Eye Tracker on monitors positioned above the head or face of a users unless using a dedicated "fixed mounting" solution.